FX Graph is extremely flexible and can produce graphs that suit all of the various “standards” that exist around the world. One problem we have had is that users have not always found the right preferences to get what they want. In response to this, FX Graph (5.005.10 and later) will give you a short interview that allows you to set up the most important preferences. The first selection is probably the most important and potentially frustrating. There are definitely two schools of thought as to which one is “right”! 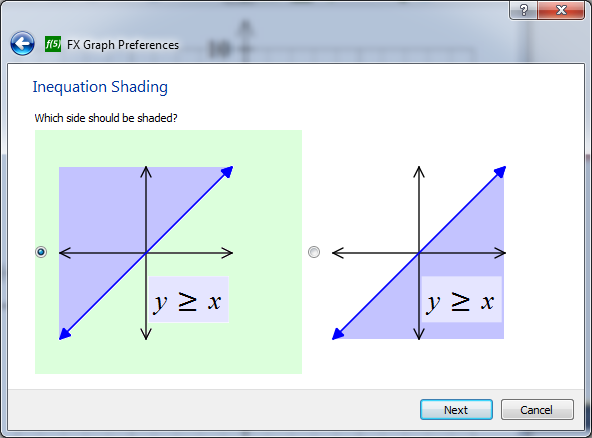 FX Graph doesn’t care – it just needs to know which one you want. The first version of the interview has eleven selections that take a minute or so to answer. The pay-off is that FX Graph will fit your needs that much better. 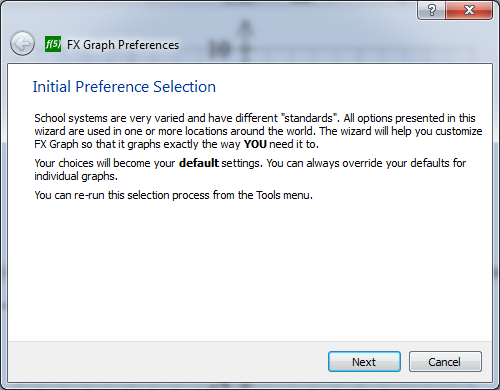 The interview will run once, the first time you start FX Graph after installing the latest version. 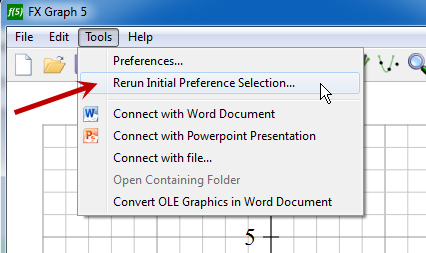 You can re-run it any time you like by choosing this option from the Tools menu. We will be implementing similar interviews for our other products in the near future.